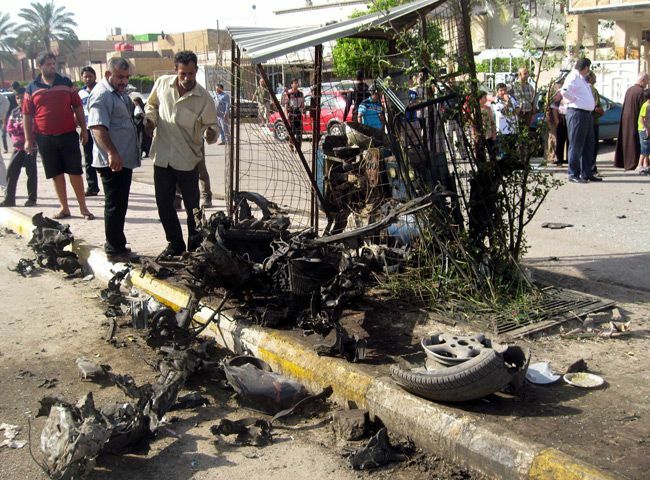 JNN 16 Mar 2014 Baghdad : At least 19 people have been killed and dozens injured in a string of bomb explosions across the Iraqi capital Baghdad after days of relative calm. A car bomb detonated in a commercial street in Baghdad’s southeastern al-Ameen district late on Saturday, killing four people and wounding 13. Elsewhere, three people were killed and six others wounded when a second car bomb explosion rocked the capital’s Qahira neighborhood. A third car bomb targeted a commercial street in western Baghdad, killing four people and wounding 14 others. Another a car bomb killed four people and wounded nine in a commercial area in Baghdad’s northwestern neighborhood of Shula. Four people were killed and 10 injured in a similar attack that hit the northern district of Hurriyah. There was no immediate claim of responsibility for the attacks. Al-Qaeda-affiliated militants are known to have carried out similar bombings in public areas. Iraq has been experiencing its deadliest cycle of violence over the past six years, with al-Qaeda-linked militants waging a fresh round of war against the government. Violence hiked in Iraq last December when security forces cleared a protest camp in the western province of Anbar. The government said the site was used by militants for launching terrorist attacks. The removal of the camp in the provincial capital of Ramadi sparked protests from Iraqi lawmakers who urged the army to leave the city. But the army withdrawal paved the way for the al-Qaeda-linked Islamic State of Iraq and the Levant (ISIL) to overrun Ramadi, and the neighboring city of Fallujah. According to official figures, some 1,013 people were killed in January, making it the deadliest month in Iraq since April 2008. The United Nations says more than 700 people died in violence in Iraq in February, not including nearly 300 reported deaths in Anbar. This entry was posted in Iraq News, Middle East and tagged Baghdad, Car bomb, commercial street, Iraq, Terrorists. Bookmark the permalink.